Dictionary slams Kellyanne Conway's 'alternative' definition of feminism with cheeky tweet. On Thursday, top Trump advisor and everyone's favorite alternative genius Kellyanne Conway offered her thoughts on feminism. Speaking at the same Conservative Political Action Conference that nearly hosted former Breitbart editor Milo Yiannopoulos, Kellyanne Conway said she's not a "classic" feminist. "It's difficult for me to call myself a feminist in a classic sense because it seems to be very anti-male, and it certainly is very pro-abortion, and I'm neither anti-male or pro-abortion," said the woman who coined the phrase "go buy Ivanka's stuff." Conway also celebrated something she calls "individual feminism, if you will, that you make your own choices. ... I look at myself as a product of my choices, not a victim of my circumstances." Because feminism has nothing to do with acting "very anti-male" or "very pro-abortion," the world's sassiest dictionary sent out a tweet. 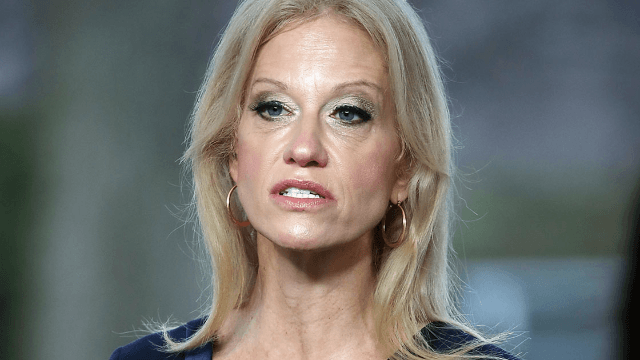 The Merriam-Webster dictionary elaborated on their website, where they explained that interest in the actual definition of feminism had increased on Thursday following Conway's comments.